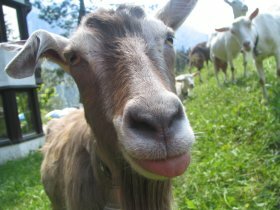 Our goat shed ( built in 2001) was one of the first sheds in Bavaria built according to the standards for proper animal welfare. It's about 2 km away from our hotel. 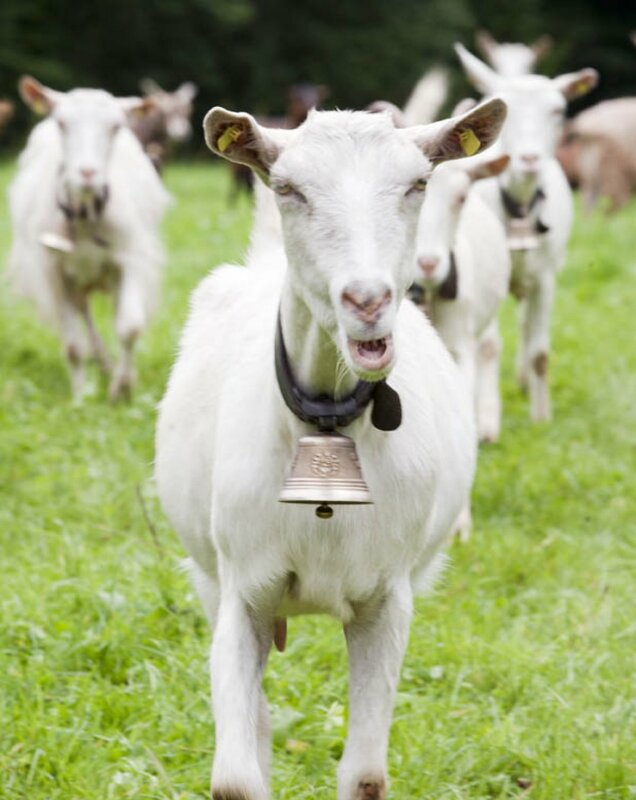 About 50 goats are kept in a spacious shed with sufficient area satisfying their need to move. They have enough chance for social contacts in the flock, they are able to get to the pasture outside with fresh grass and herbs, and in winter they have a sheltered open-air area for their urge to move and jump. Our so-called Kaltstall ( cold shed) is provided with sufficient fresh air due to a special ventilation. 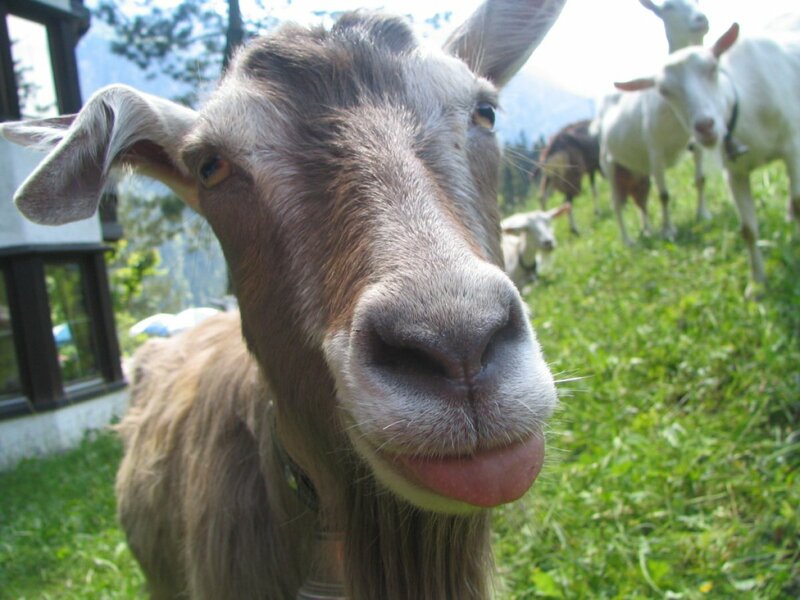 In summer the goats are outdoors for the fresh grass and flowers of the alpine meadows that make our cheese so popular and well-known by gourmets and insiders. 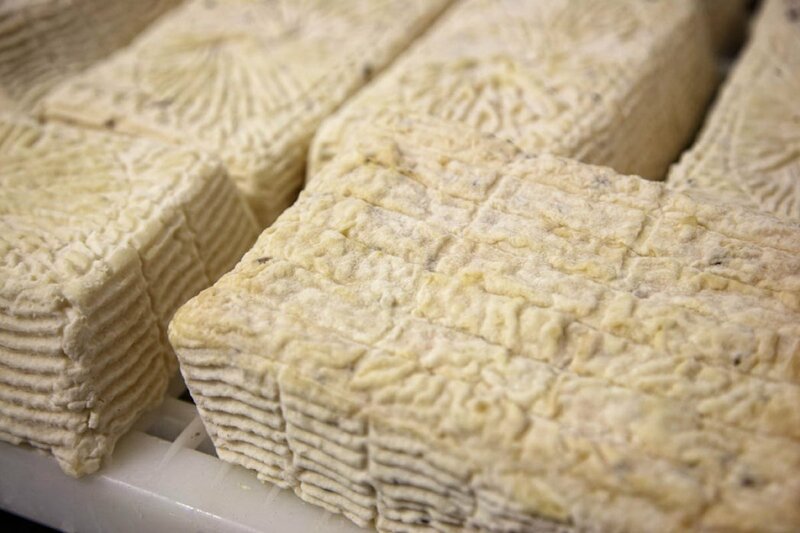 Every day Franz, our chef, produces a variety of delicious goat-milk cheese. 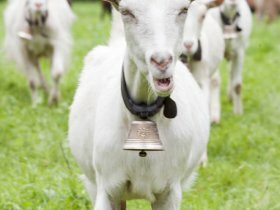 By the way, goat milk has a great therapeutic effect on Asthma and Neurodermatitis and is therefore used as a medicinal product as well. 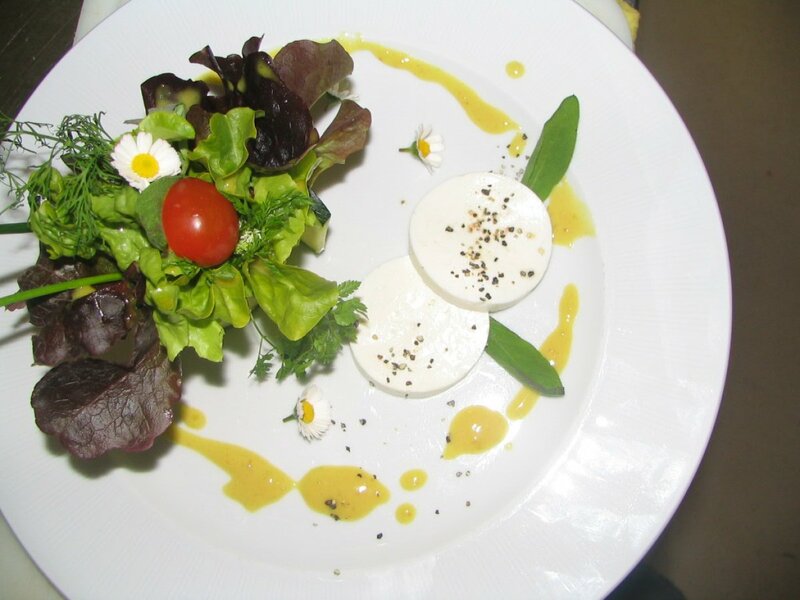 On our menu you find a wide range of goat cheese specialties. It's an ideal gift to be taken home, too. Also try our goat salami! For enthusiasts of the fine cuisine we highly recommend our roast kid goat, a very tender meat. We serve it between Easter and Whitsuntide or upon request. 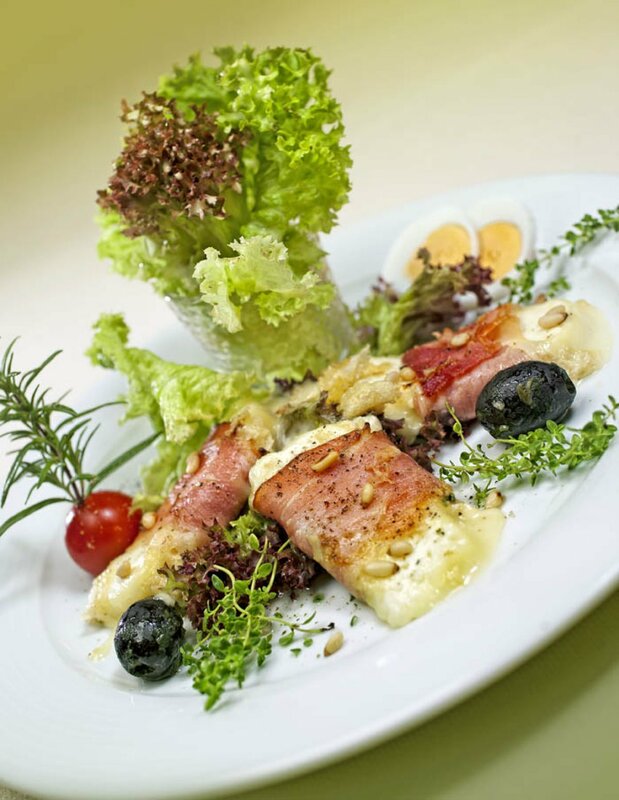 In the whole Oberallgaeu region there is no other restaurant with own farming products. We also produce about 90% of our beef ourselves. 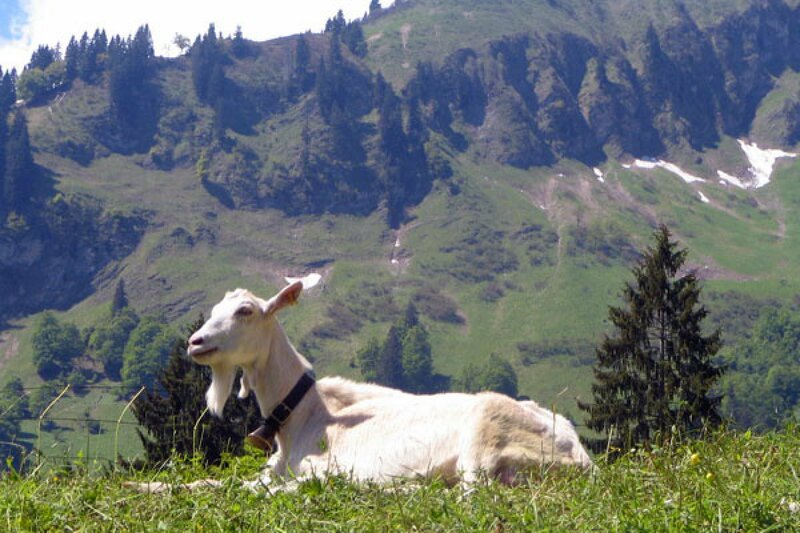 Most of our cattle, oxen and cows, are "Südtiroler Grauvieh", an alpine breed perfectly adapted to the rough climate in the mountains, good climbers with an excellent quality of meat. Our guests love the variety and great choice of our beef dishes. Come and have a try and enjoy our delicacies that portray the best of the region !